We realize what an important decision this is for you and your family. It is our mission to guide you through the entire process of finding The Right School or program in which your child will succeed. Our educational consultants will meet with you to discuss your child's social, emotional and academic history. We want to know your child's strengths and interests as well as his/her challenges. We also want to understand your hopes for your child. When you call to schedule your first appointment with our educational consultants we will ask you to bring copies of your child's academic record to the appointment. This may include a school transcript for the past three years, final report cards, and achievement test results done by the school district. We will also ask for copies of any psychological or educational evaluations your child may have had recently. This information helps us to gain a more complete picture of your child's current and future needs. The consultants at E. Gordon Associates will screen, identify and contact the schools or programs appropriate for your child to determine availability. A second appointment is scheduled with you to discuss our recommendations and to answer many of the questions we know you'll have. At that second appointment you will be provided with school web sites or brochures and application material. We will work with you to make the best choice possible for your son or daughter. Many applications are on the school's web sites. 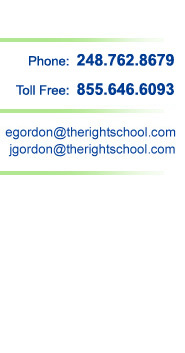 E. Gordon Associates works in partnership with social workers, psychologists and psychiatrists. We receive no commission or compensation from any school, camp, agency or program.